Tika returns and she brings information on all of the latest news that you care about, unfiltered and straight from the source. 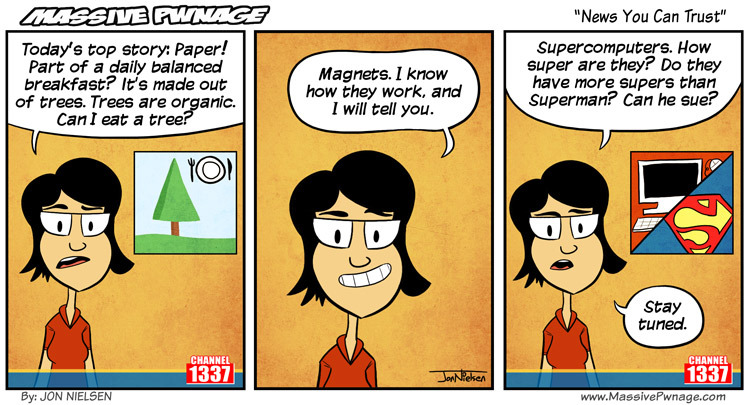 This entry was posted on Wednesday, March 2nd, 2011 at 12:00 am and is filed under Comics. You can follow any responses to this entry through the RSS 2.0 feed. Both comments and pings are currently closed. like a miner wants gunpowder without the creeper? This news is actually telling us what we want to know! I don’t know, CAN you eat a tree?! With a tango you can. How trustworthy is that news, I wonder…. A Art indeed…. there a bug on this page were you can not use the buttons.